The title Goldi Rocks and the Three Bears, with only a one-letter change, does little to let the reader know how fresh, fun, and phonetically pleasing this book truly is. The 2014 G.P. Putnam’s Sons’ release is actually one of five fractured fairy tales from author Corey Rosen Schwartz. Instead of cranking out book after book, it’s clear that Schwartz is a perfectionist with each book packing a punch, especially Goldi. 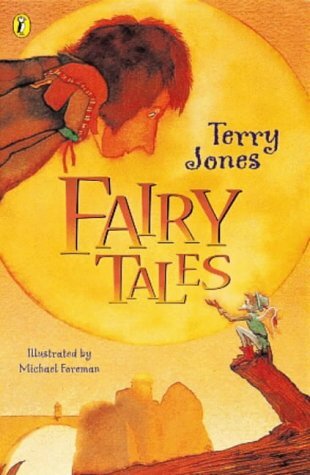 Library shelves will continue to add remixes and mashups of classic fairy-tales. In fact, the versions from our childhoods are typically retellings themselves. Take for instance Goldilocks and the Three Bears, which was originally a grim tale of an old lady trespassing into the home of three bachelor bears. Over time, the wrinkled gal devolved into the perky youngster Goldilocks while the bromance mutated into a traditional nuclear family. The title Goldi Rocks doesn’t lie though, as the book is groovaliciously good. Schwartz replaces the mundane repetitions of Mamma, Papa, and Baby Bear with vivid variations and also brilliantly avoids mentioning them by name when possible. The musical diction along with an abccb rhyming cinquains renders the book a lyrically pleasing read-aloud. Applause to the editor, illustrator, and art director for intelligently splicing the stanzas between pages to avoid monotony, yet despite the continual cinquain caterpillar trail the read-aloud maintains the phonetic pleasantry of the rhyme scheme despite the back to back C rhymes feeling a little forced and cheesy. Story wise, Goldi Rocks respects the classic tale’s framework but also keeps it fresh with cameos from other fairy tales while the bears seek out a lead singer. The illustrations are busy with colors, but are purposeful with each illustration from Nate Wragg centering on the appropriate action keeping it modern and attractive. This book deserves a spot on every child’s (those who understand English) and kid lit writer’s bookshelves. Reserve the other fractured three bear tales for the library.